Special Offer! Apply Coupon: ueihub in the shopping cart. 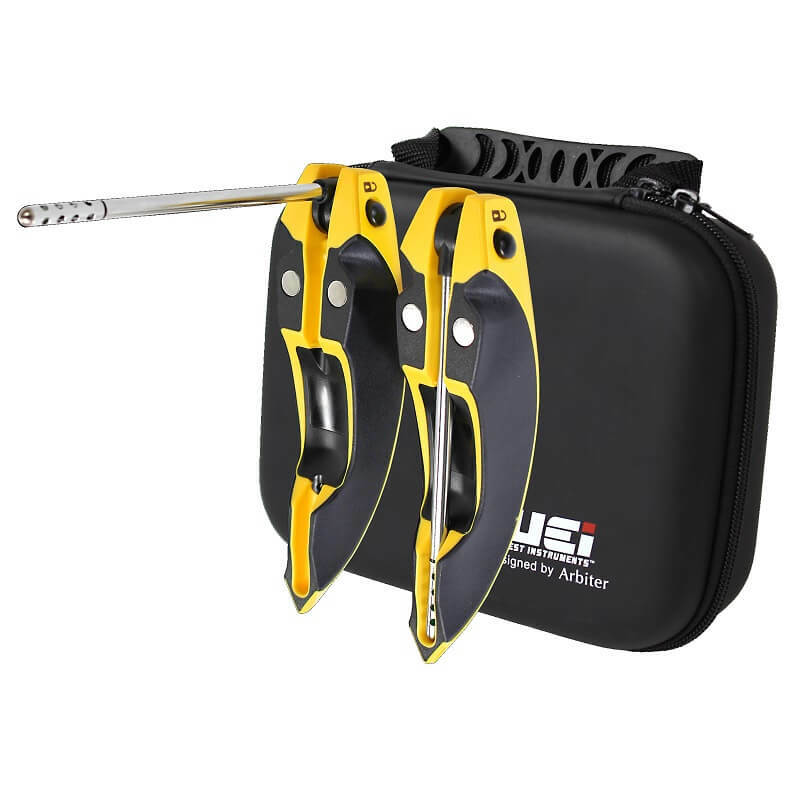 The UEi HUB2 is a useful smart probe kit that includes two temperature and humidity probes that allows HVAC technicians to view temperature splits and psychrometric calculations on a smart device. The built-in magnets make it easy to snap into place and leave alone for continuous measurements while you adjust the system. 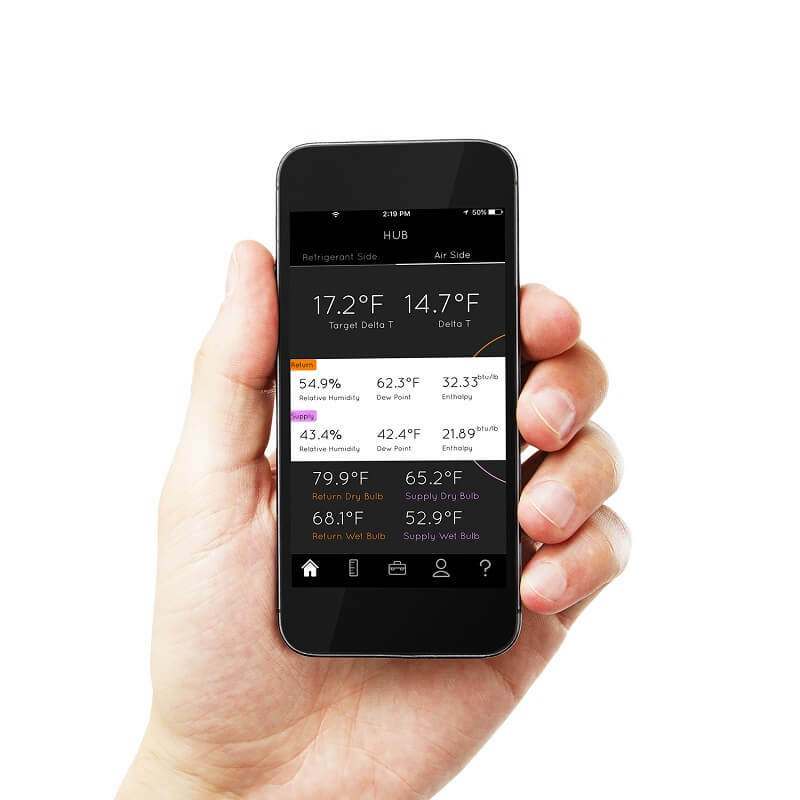 Simply put, the UEi HUB2 is a wireless way to measure temperature splits in plenums and view the readings live directly on your smart phone or tablet. The temperature probes on the HUB2 are the thinnest probes yet at 1/4" in diameter leading to smaller holes needing to be drilled. The temperature range on the HUB2 smart probes is stated to be from 32° to 140° F and has an industry leading accuracy of ± 0.5° F. The built-in magnets are strong and will hold the probe in place on the vent grille or duct you are measuring. With the free UEI HUB App you can easily get a delta T reading and see how the split is performing. 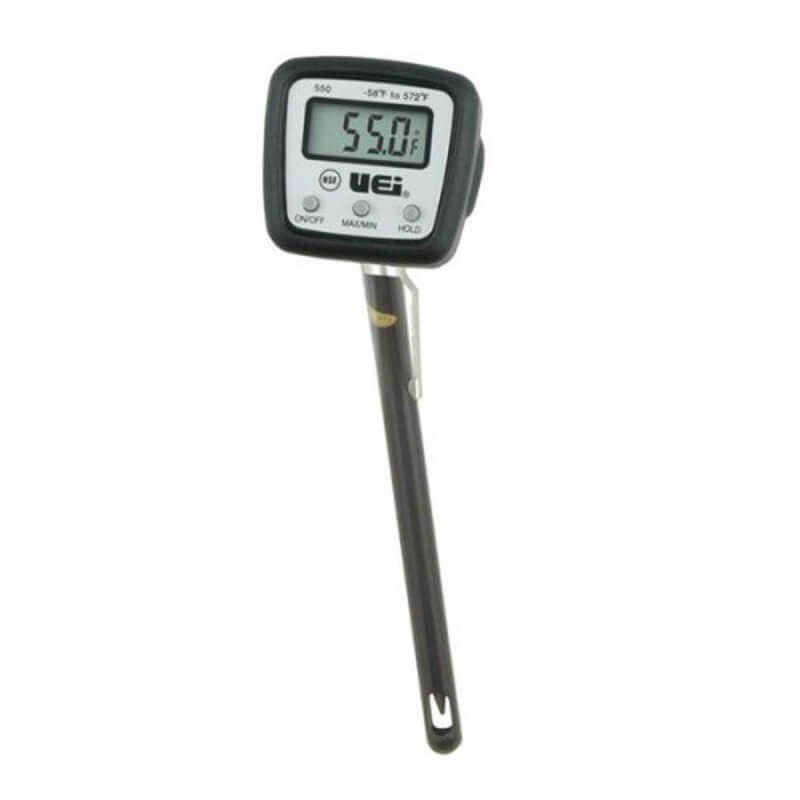 The UEi HUB2 probes will also measure relative humidity from 0 - 100%. 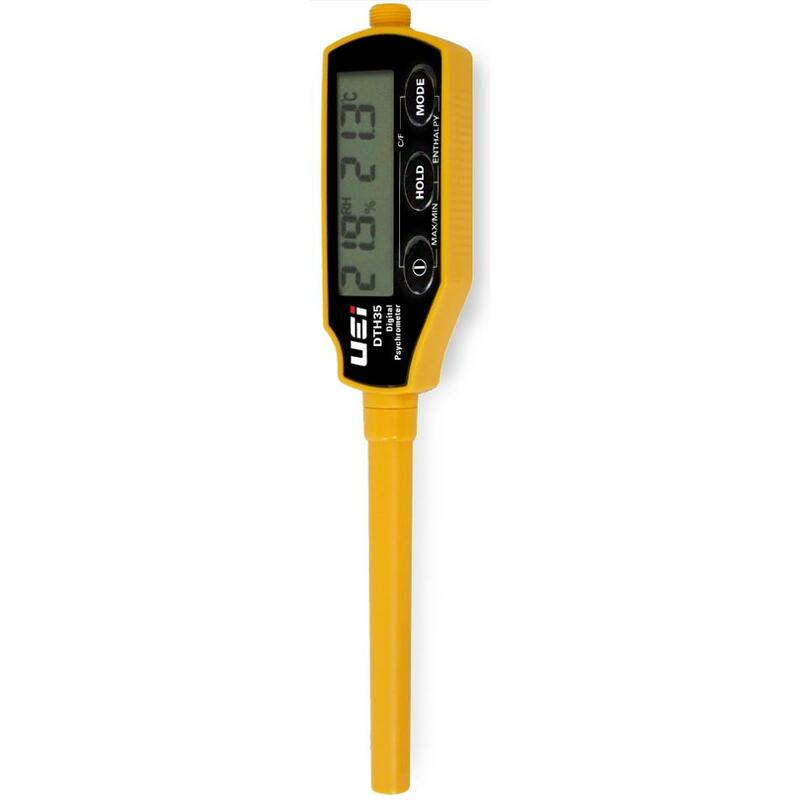 Unlike some other smart probes, the UEi HUB series feature a wireless range of up to 150ft opening up the usefulness to HVAC technicians who want to monitor the system while they are in the truck or walking around the site. One nice feature of the probes is if the connection does drop for whatever reason, upon reconnect, it will automatically reassign it to the last setting it was on. What this means in simple terms is if one probe was set to the air return side and connection is lost, when it reconnects it will remember and re-select it as the air return instead of having to manually set it. Sometimes in life its the little things. 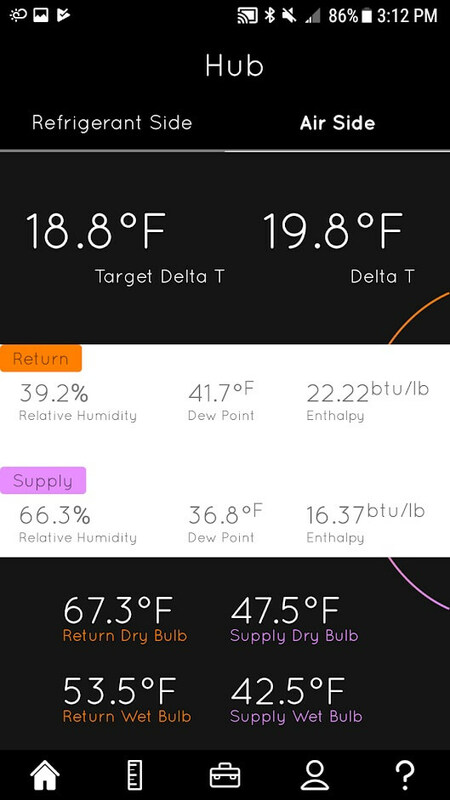 The UEI HUB app for Android and iOS allows you to see the data from the temperature probes in real time. 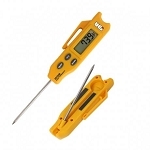 Easily switch between the refrigerant side and air side with a simple touch on the screen. 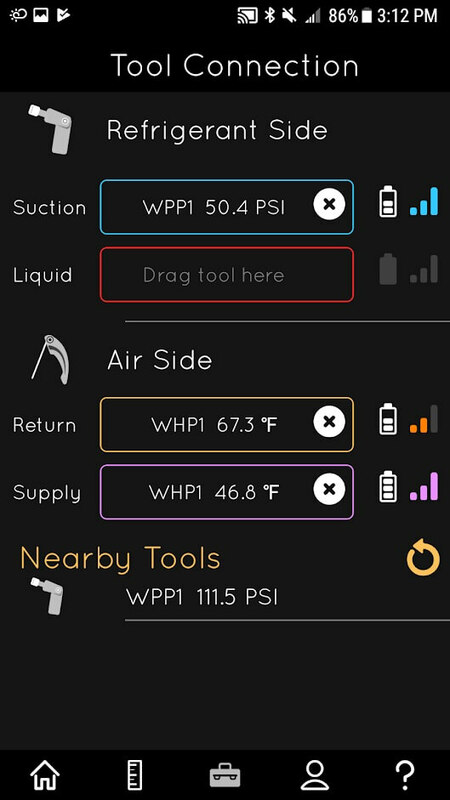 Connecting your tools is easier than ever and you can easily select and drag the probes to the proper location to ensure proper readings. 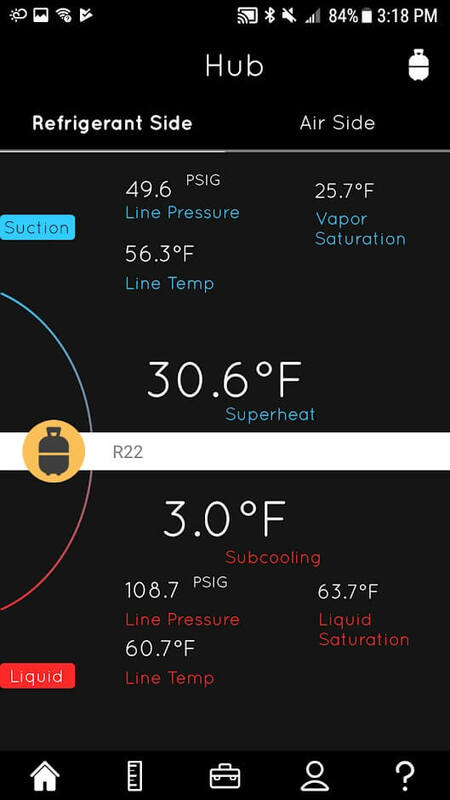 the UEI HUB app includes many of the most common refrigerants and gives you the option to create favorites to find your refrigerants even faster. The UEI HUB app looks very nice and is laid out in a very simple to read format.